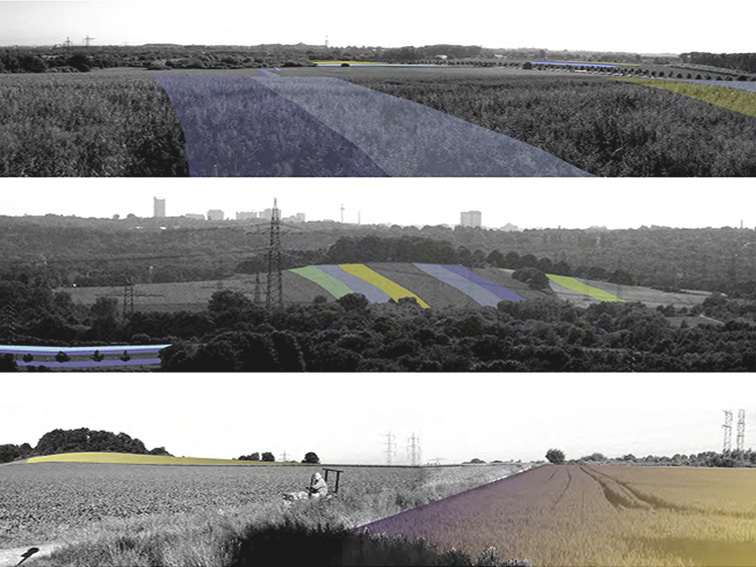 Designer Paolo L. Bürgi, Studio Bürgi Chiara Pradel Florentine Schmidt, based on the idea and the conception of the curatur Udo Weilacher on behalf of the RVR Regionalverband Rhein-Ruhr. 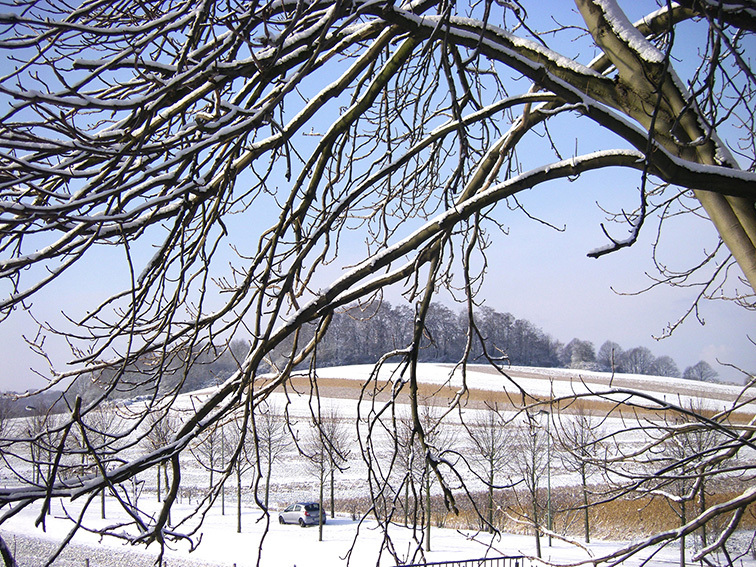 In the industrial landscape of the Ruhr area, some of the agricultural land on the slopes of the Mechtenberg has been protected since the creation of the IBA Emscher Park by turning them into a ‘landscape’ park. 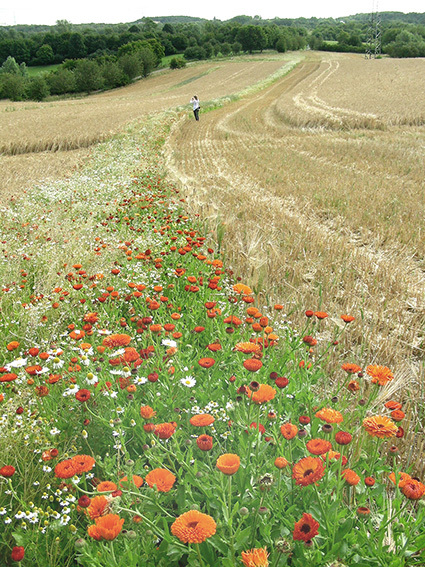 Several seasonal interventions were developed over a period of two years where especially composed mixtures of flowers were sown in the cornfields. 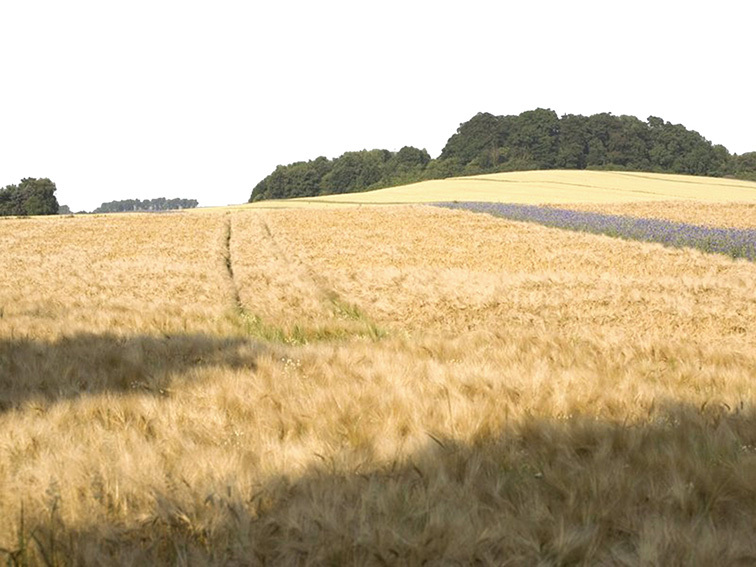 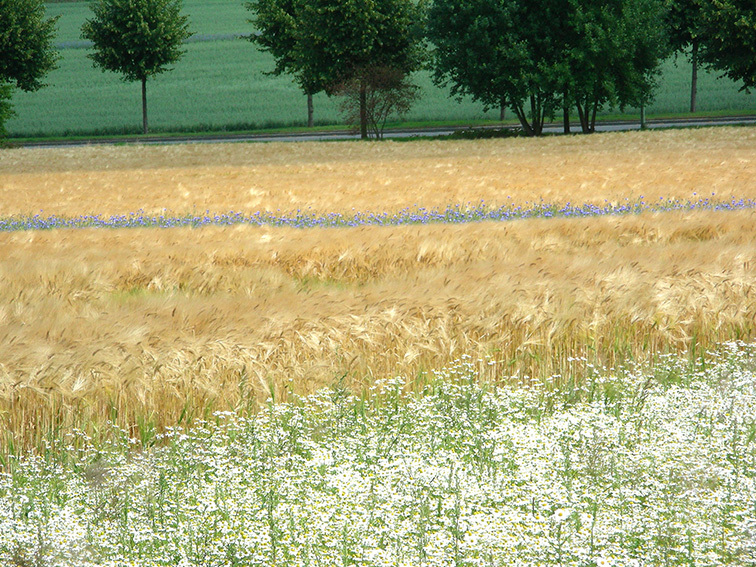 Following the agricultural calendar of sowing, growing and harvesting, flowers such as the common corncokle, marigold, chamomile and the cornflower start by forming fine colourful lines, which turn into multi-coloured strips in combination with the corn, in nuanced oats fields and finally into chequered patterns. 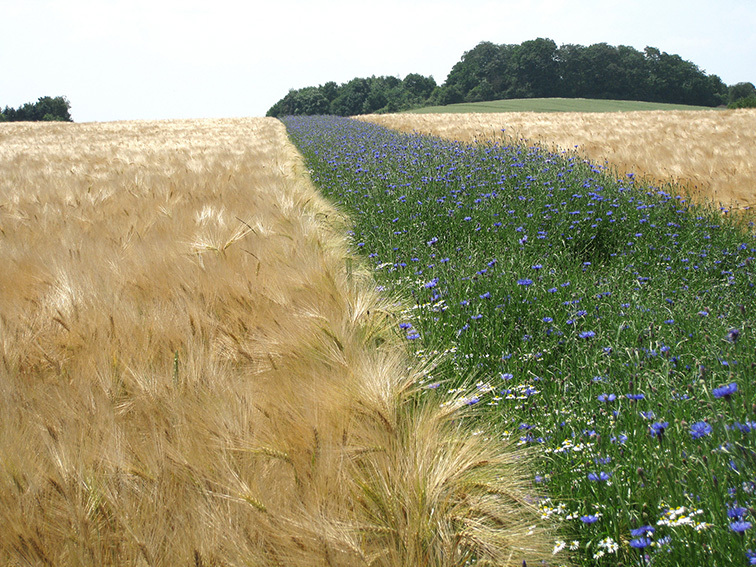 The selection committee described the project as an original and powerful intervention, made to emphasize the relationship between productive agricultural land and urban surroundings that has almost disappeared. 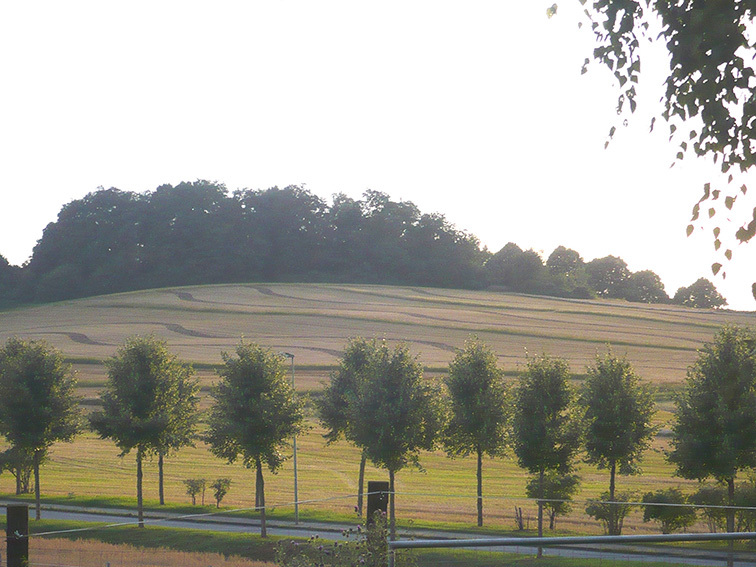 Even though while urban dwellers stand on the threshold between understanding-non understanding the intentionality, the agricultural lands regain meaning by combining agricultural patterns and processes (utilitas) and experimental composition and experiences (venustas), rather than being transformed into a conventional park. 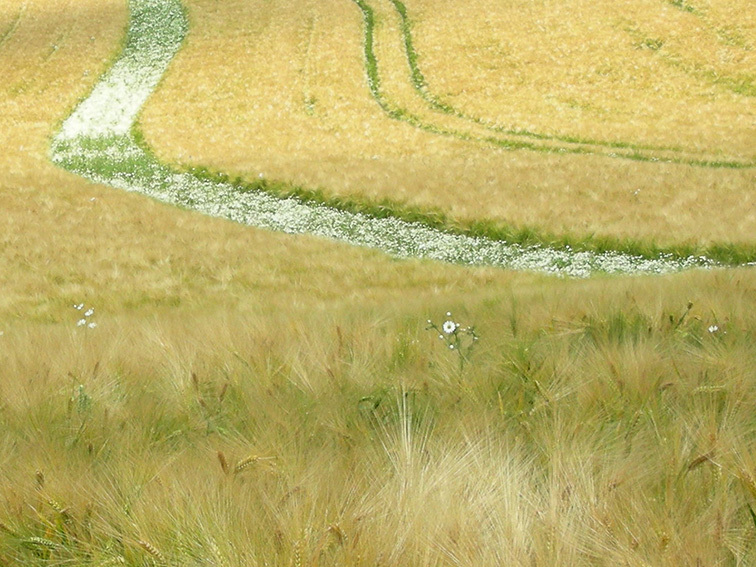 The project shows the value of fields and the aims to cultivate respect for the terrain.